Catering specifically for coarse textured or wavy, curly or frizzy hair, the Philip Kingsley Re-Moisturising Conditioner leaves tresses nourished and glossy with salon-worthy results. Fortified with Hydrolyzed Oat Protein and a unique blend of waxes, the luxurious, ultra-hydrating formula deeply replenishes hair, whilst improving manageability to promote smooth, frizz-free strands from root to tip. Hard-to-tame hair is easier to comb and style. Ideal for coarse textured or very wavy, curly or frizzy hair. 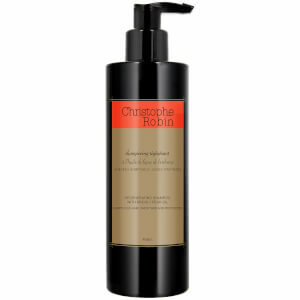 After shampooing, gently work into the hair, particularly mid-lengths and ends. 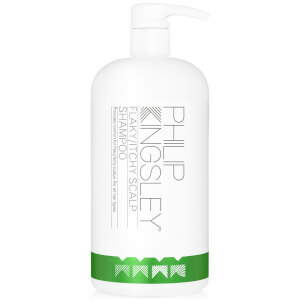 Rinse well and follow with the appropriate Philip Kingsley scalp toner. Alcohol, Stearyl Alcohol Cetrimonium Chloride, Trideceth-12, Ethylhexylglycerin, Hydrolyzed Oats, Parfum (Fragrance), Linoleamidopropyl PG-Dimonium Chloride Phosphate, Myristyl Alcohol, Propylene Glycol, Sodium Chloride, Sodium Benzoate, Lauryl Alcohol, Tocopheryl Acetate (Vitamin E), Disodium EDTA.